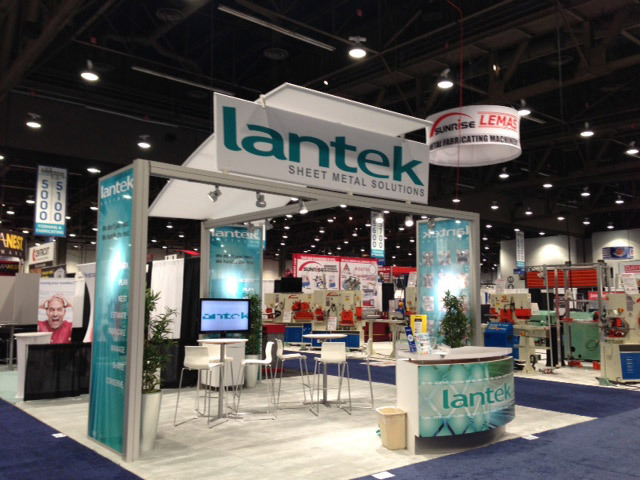 Lantek Sheet Metal Solutions exhibited at the Fabtech 2012 convention in Las Vegas, Nevada USA. The event was a huge success. While the final attendance numbers are still being tabulated, the show sponsors estimate a record-high attendance number of more than 24,000 attendees on the first day of the show. “The Fabtech show rotates from Chicago to Atlanta to Chicago to Las Vegas over four years. This year’s show made me realize how very long I have been attending! Regular Fabtech exhibitors often comment that the Las Vegas location of the show is distracting to say the least. Many feel that when the show is in Las Vegas, attendees collect their badges on the first day and then hit the strip to gamble, see amazing shows and attractions or just go and enjoy all Las Vegas has to offer. This might very well be the case, however, it was our experience that show traffic was steady and those who visited our booth were there to do business. In my opinion, Las Vegas provides a nice qualification step, for exhibitors. We met with many companies in need of our solutions and were able to spend quality, composed time with them. In addition, being in the Western US provided Lantek USA with the opportunity to meet companies outside of our typical Midwestern “Rust Belt” area. We look very forward to making the acquaintances we made at Fabtech 2012 Las Vegas new customers and to once again growing our US presence as a result of our attendance there. 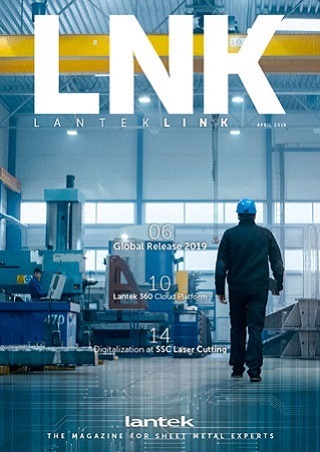 Lantek is a leading global multinational in the development and commercialisation of software solutions for the sheet metal and structural steel industry. Its capacity for innovation and its firm commitment to internationalisation and the development of emerging markets has led Lantek, founded in 1986 in the Basque Country and with head offices in Vitoria-Gasteiz (Spain), to become a global reference in the industry with its CAD/CAM/MES/ERP solutions. Today, the company has over 12,000 clients in more than 100 countries, offices in 15 countries, and a wide network of distributors providing worldwide coverage. In 2011 its international operations provided 83% of its turnover.